Designing a house we love is a passion of mine and I love sharing how we incorporate some of the pieces I make into each room of our house. After our little bathroom refresh was a hit, I decided to go room by room and share our home with you. This room has seen a few different stages along the way, but it has definitely come a long way from those first home listing pictures. 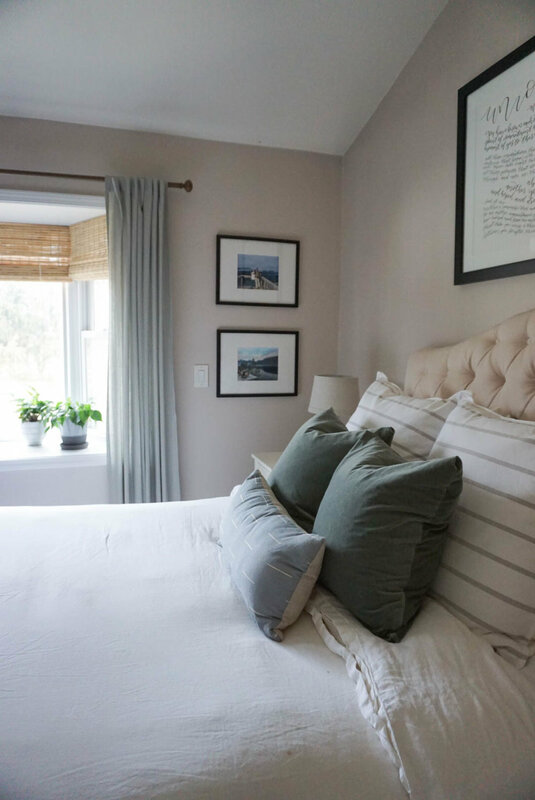 Our bedroom is our favorite room in the house because it feels so cozy and calm. Dan and his dad made our sliding barn door out of old barn wood we got from a barn in the area. My only part in this was to stand back and tell them if I liked the design. 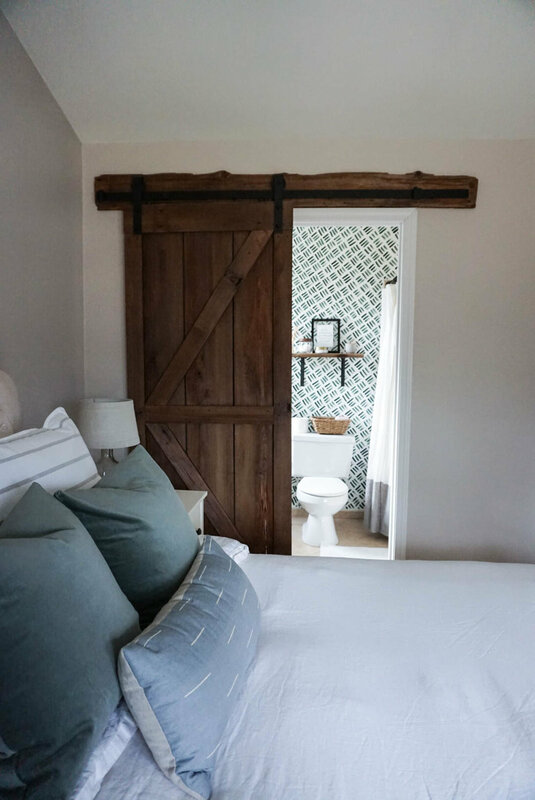 And to buy the hardware :) Removing a standard door and replacing it with a sliding door was the perfect way to add character and space to our tiny master bathroom. Above our bed is a reading from our wedding that I lettered. I love having this memory in a spot that I look at every single day. We also framed pictures from our first anniversary trip to Canada. The views… I mean I could cover our walls in these pictures and never get sick of it. Our furniture is not expensive, but it has held up really well. And like every other room in our house, we have at least one piece of furniture that is antique or handed down through family. In here, that is the little wood dresser. The beautifully fuzzy before picture from the listing when we bought our house. Nightstands: the older version we have is no longer sold, but these are the most similar!